Proud owners of a truly illustrious pedigree that stretches back through the dim mists of time to one of Ireland’s most celebrated warrior kings, the Gallaghers played a formative role at key points in the island’s history. Doughty defenders of their freedom, they experienced both glorious fortune and tragic misfortune. Read here the stirring and poignant tale of the Gallaghers. 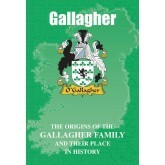 NAME variations include: Ó Gallchobhair (Gaelic), O’Gallagher, Gallacher, Gallaher, Gallaugher, Goliger. 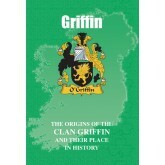 ..
Tracing a descent from some of Ireland’s earliest warrior kings, the Griffins of today can boast a truly illustrious heritage. While some were victims of harsh policies enacted against the native Irish, others battled adversity to make names for themselves not only in the land of their birth but also in other lands. In architecture Walter Griffin, born in 1876, was the modernist architect and landscape architect credited with pioneering the use of reinforced concrete for ho..
Two separate branches of the Healys were to be found from earliest times firmly rooted in the soil of the Emerald Isle. But their lives and times were inextricably woven together as both found themselves at the forefront of some of the most dramatic episodes in the island’s colourful history. In contemporary times and in the world of music Fran Healy, born in Stafford, England in 1976 but who grew up in his parents’ home city of Glasgow, is the lead singer and songwriter of.. 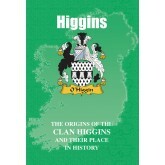 Settled from earliest times on the Emerald Isle, bearers of the Higgins name, in all its rich variety of spellings, for centuries fulfilled the honoured role of hereditary poets to a number of powerful Irish clans. In common with other native Irish, many were later forced to seek new lives in foreign lands – where they subsequently achieved distinction and acclaim. One intrepid bearer of the name was the American journalist and author Marguerite Higgins, recognis.. Descended from Ireland’s earliest High Kings, the Hogans have stamped an indelible mark on the colourful and frequently bloody pages of the island’s history. When not on the battlefield others found fame through more peaceful pursuits. On the stage, Paul Hogan is the multi-award winning Australian actor and comedian who first rose to fame with his own sketch show, The Paul Hogan Show, while his first film, the 1986 Crocodile Dundee won him an Academy nomina.. 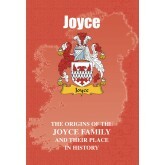 The Joyces came to Ireland in the late twelfth century as Norman invaders, but cast aside the sword to dominate the commercial life of the island as wealthy merchants. Assimilating the native religion and culture they became victims of those who tried to annihilate it, but they survived and have thrived through a rich variety of endeavours. In the world of literature James Joyce, born in 1882, was the celebrated Irish writer ranked as having been among the ..
Two separate branches of the proud and ancient clan known as Ó Catháin, or Kane, flourished for centuries in different parts of the Emerald Isle. 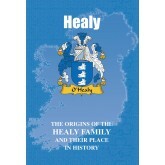 But it was in the northern province of Ulster that, with bonds of kinship to the equally proud and powerful O’ Neill dynasty, that they stamped an indelible mark on Ireland’s colourful and turbulent history. Their stirring and poignant tale is recounted here. 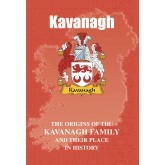 NAME VARIATIONS INCLUDE: Ó Catháin (Gaelic), Cahan, O’Cahan, O’Cain, McCain, Kayne, Ke..
With a heritage rooted deep in the ancient soil of the Emerald Isle, the Kavanaghs flourished for centuries and stamped an indelible mark on their nation’s history - at the forefront of many of Ireland’s most bloody military encounters and unswerving in their determination to retain their freedom and independence. Others have achieved fame and acclaim through a range of endeavours and pursuits. Born in 1904, Patrick Kavanagh is recognised as having been one of Ir..
One of their ancestors was a ferocious chieftain who fought loyally at the side of the great warrior king Brian Boru in one of Ireland’s most bloody and decisive battles. Generations of others also fell on the field of battle, while succeeding generations of Kellys have gone on to achieve international fame – and not a small degree of infamy. Here is recounted the colourful lives and times of the Kellys. 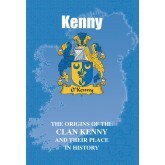 NAME VARIATIONS INCLUDE: Ó Ceallaigh (Gaelic), Kelley, Kellie, Kilkelly, MacK..
An unusual name in that it has both pagan and Christian connotations, Kenny in its numerous spelling variations has been present throughout the Emerald Isle since earliest times. Native Irish bearers of the name were part of a powerful tribal grouping that held sway over one of the island’s ancient provinces, while in more recent times others have gained honours and distinction through a rich and colourful variety of endeavours. Their proud tale is recounted here. NAME VARIATIONS INCLUDE.. 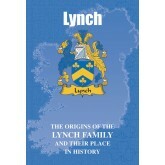 In its Gaelic form, ‘Lynch’ existed for centuries in Ireland before becoming synonymous with the powerful family of the name who settled in Galway in the wake of the Norman invasions of the island. Renowned as one of the celebrated ‘fourteen tribes of Galway’ they also provided the city with a succession of mayors, while in later centuries many were to take on the role of rebels and revolutionaries. In more peaceful times and on the screen, David Lynch is t..
A clan with roots deeply embedded in the soil of the ancient northern province of Ulster, the Maguires held sway for centuries in what is now present day County Fermanagh. Defence of their freedom and independence came at bitter and bloody cost, but ensured them a place in the proud annals of Ireland’s turbulent history. The poignant and inspiring tale of the Maguires is recounted here. 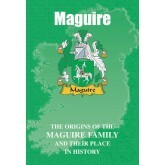 NAME variations include: Mac Uidhir (Gaelic), Mag Uidhir (Gaelic), MacGuire, McGuire, McGwire, Guire, .. Proud of a descent from the ancient Royal House of the O’Connors of Connacht, the Malones are of truly noble lineage. They played a key role during pivotal episodes in Ireland’s colourful but bloody saga while, away from the battlefield, several of the name distinguished themselves through their contribution to the religious life of the island. The Malones have also gained recognition through a number of other endeavours and pursuits. 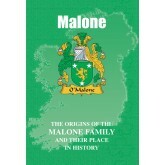 In music, Tom Malone is ..
One of the original native Irish clans, the McCarthys experienced both great fortune and tragic misfortune throughout the long centuries of Ireland’s often blood stained history. Warrior kings and defenders of not only their own kith and kin but also their nation’s freedom and independence, they stamped an indelible mark on the pages of Ireland’s story. In contemporary times and on the world stage Cormac McCarthy is ranked as one of the four major American noveli..
As kings of the ancient province of Munster the McCormick pedigree reaches back through the centuries to the very dawn of Ireland’s vibrant history. Curious circumstances also surround how proud bearers of the name found themselves settled in later centuries in the province of Ulster. 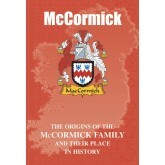 Read here the intriguing and colourful tale of the McCormicks. NAME variations include: Mac Cormaic (Gaelic), Carmack, Cormac, Cormach, Cormack, Cormich, Cormiche, Cormick, Cormyck, Kormack, Kormick, MacCor..